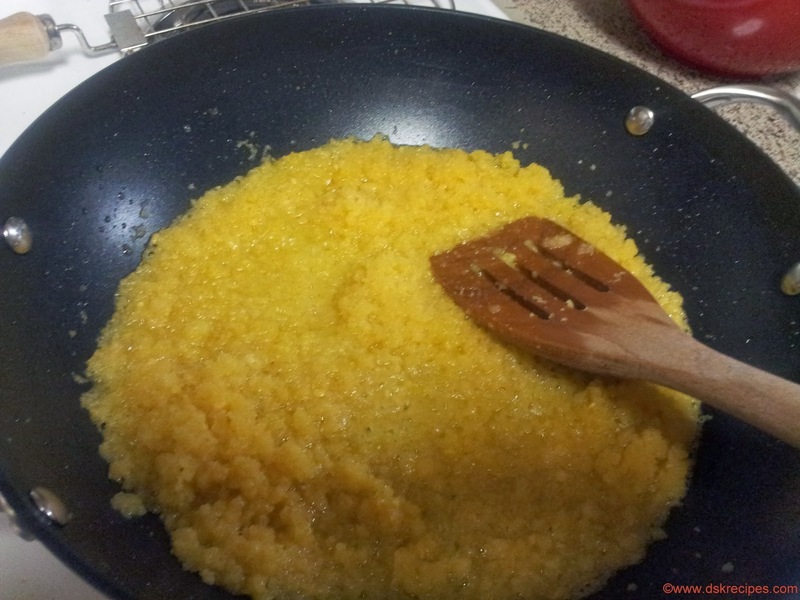 Moong Dal Halwa is delicious Indian Dessert. Its a perfect dessert specially for winters. It tastes great when served warm. One of the must have dessert specially during weddings. Its made from spilt moong dal and cooked in sugar syrup. Not very difficult to cook and needs little patience to make. 1. Soak moong dal overnight or atleast for 5-6 hours. 2. Drain the moong dal and in a blender make a fine paste. Do not add much water while grinding. Just 1-2 tbsp. 3. 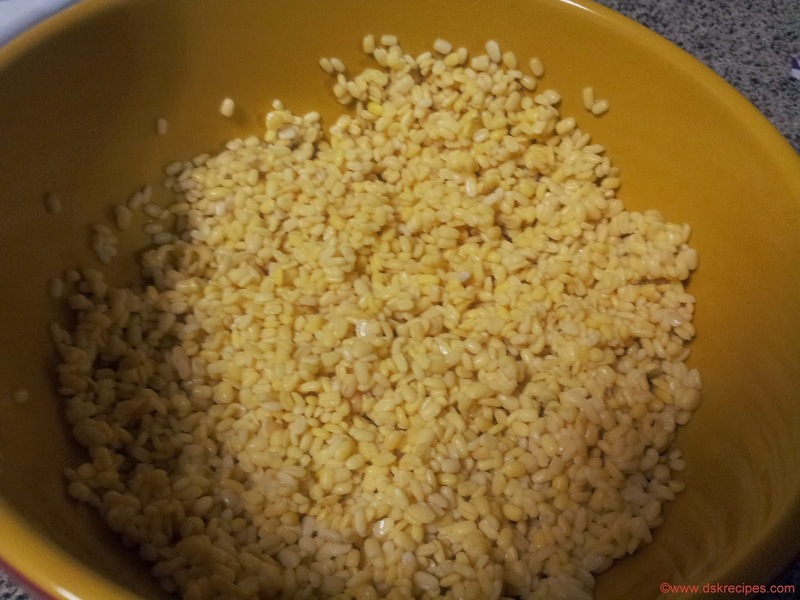 In a pan mix the moong dal paste and ghee together and mix well. 4. Start the heat and saute this mixture till light golden brown and well cooked. Keep stirring continuously as you roast. 5. Remove from heat once cooked fully. 6. In a pan mix water, sugar, saffron and cardamom and boil till the sugar dissolves. 7. Once the sugar dissolves that means the syrup is ready. 8. Heat the pan again containing the cooked moong dal. Pour the sugar syrup into it and mix well. 9. Cover the pan for 5 mins and let the halwa cook. 10. Remove the cover and keep stirring. 11. Most of the syrup will be absorbed and the halwa will get thicker. 12. Do not completely dry the halwa. As it cools it thicken. 13. Remove from flame and add mixed dry fruits and mix. 14. Garnish with almond slices. 15. Halwa tastes great when served warm.